The Precor 956i Experience Treadmill is a desired piece of cardio equipment because of its high quality build. 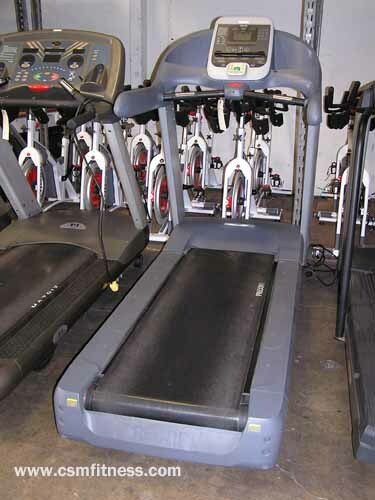 Because Precor used such high quality material when making this treadmill (and utilized a self-cooling motor), it is able to last through years of daily use, which makes it a great addition for any commercial or home use. Additionally, this treadmill comes equipped with a low step-up profile and adds the little bit of comfort desired by those who have difficulty with high steps. Ultimately, it is a nice treadmill for individuals in their athletic prime or completing rehabilitation with several limitations. More importantly, the solid, durable running bed is a great attribute of this machine because it does not require lubrication and, if the running bed is flipped, it can last nearly double the amount of time.